The 2007 Milner Lecture will be given at 16.00 on 28th June by Ron Fagin of IBM Almaden. From 27-29th June, we will be welcoming the Edinburgh Computer History Project, a group of former staff, students and associates, Edinburgh pioneers from the early days of computing, back to Edinburgh for a reunion. Following on from our graduation ceremony and celebrations on June 26th, a series of events, incorporating our annual Informatics Jamboree and Milner Lecture, will take place from June 27 - 29. All those with an interest, and particularly those who have contributed to the history of computing at Edinburgh, are warmly invited to attend — there is a registration fee of £12.50. Please register online. Update Sunday 17th June The reunion dinner on the 28th is now full to capacity. All other events are still open and you can still register (then if we have any cancellations for dinner, we can allocate those places to the people who register first). Visit the Edinburgh Computer History Project forum for more information on the project. Those planning to attend should download an information pack. If you have any further questions about the reunion please contact our Alumni Relations Officer. Those attending may also be interested in the Enlightenment Lecture, Is science showing that we don't have free will? to be delivered by by Daniel Dennett at 6pm on 27th June. Tickets for this should be reserved online. I am pleased to announce that Dr. Rahul Santhanam will be joining the School as a Lecturer in August this year. He is currently a postdoctoral researcher in the Computer Science Department at the University of Toronto. Rahul graduated with a B.Tech in Computer Science and Engineering from the Indian Institute of Technology, Madras, in 1998. He obtained an M.S. in Computer Science from the University of Chicago in 2001, and a Ph.D. in Computer Science from the University of Chicago in 2005 under the supervision of Prof. Lance Fortnow and Prof. Janos Simon. Before taking up his current post in Toronto, he was a postdoctoral associate at Simon Fraser University, working with Prof. Valentine Kabanets. Rahul's primary research interest is in theoretical computer science, with an emphasis on computational complexity. He is currently working on problems concerning hierarchy theorems, derandomization and circuit lower bounds. I am pleased to announce that Dr.Amin Coja-Oghlan will be joining the School as a Reader in October this year. He is currently supported by a Heisenberg advanced researcher fellowship awarded by the German research foundation. Amin received his MSc in Mathematics from the Freie Universität Berlin, Germany, in 1999. In 2001 he obtained his PhD in Probability Theory from the University of Hamburg, Germany, where he also graduated with an MSc in Computer Science in 2003. 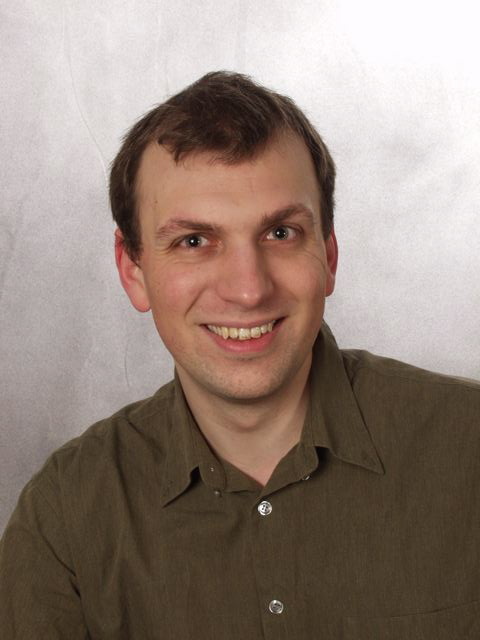 In 2001 Coja-Oghlan joined the Algorithms and Complexity group at Humboldt University, Berlin, as a postdoc. Since then, his research has been focused on probabilistic methods in computer science -- particularly on the use of randomness in the design and analysis of algorithms. In 2005 he received a postdoctoral degree ("Habilitation") at Humboldt, where from 2003 until 2006 he held a temporary professorship. In 2007 he moved to Pittsburgh, PA, USA, to hold his Heisenberg fellowship as a visiting research scholar at Carnegie Mellon University. His current research interests include the use of spectral techniques and semidefinite programming in algorithm design as well as the impact of concepts from statistical physics on computer science.